An engineer for Mysore University, CV Prakash, has successfully overseen and launched 5 business ventures. When he was barely 31, CV Prakash founded TRR Software – a business that introduced the technology of Optical Mark Reading scanning solution for education testing in India, which went on to virtually having all of the Public Service Commissions and a majority of the Universities as their clientele. He later launched TRRS Imaging, a Character Recognition technology. Indecomm Global Services was his next stop – where all his earlier experiences came to the fore – the services and technologies were offered to customers overseas – USA, Australia – Business Process Outsourcing – non-Voice, with a difference. Indecomm then emerged as the fastest growing player in its segment and CV Prakash received an award from STPI, Bangalore. 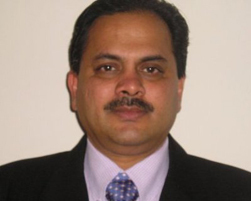 He was instrumental in setting up Centillion Solutions & Services – a JV of Indecomm with Centurion Bank of Punjab. Prakash exited from Indecomm in 2007. By then he was already working on his plan for the ‘Inclusive Sector’ and set up Gradatim IT Ventures – Gradatim has been flooded with accolades and has been feted widely. CV Prakash is very conscious of his social responsibilities and he later successfully set up the ‘Village BPO’ where he has turned non-employable, barely literate youngsters into employable, English-speaking young men and women. CV Prakash is often invited to deliver keynote addresses in various national level meets and professional bodies. He is also a member of various global forums like AIIM (Association of Imaging and Information Management) and TWAPI (The work and Process Improvement Association). If you wish to connect with CV Prakash, you can drop him an email at cv.prakash@head-held-high.org.